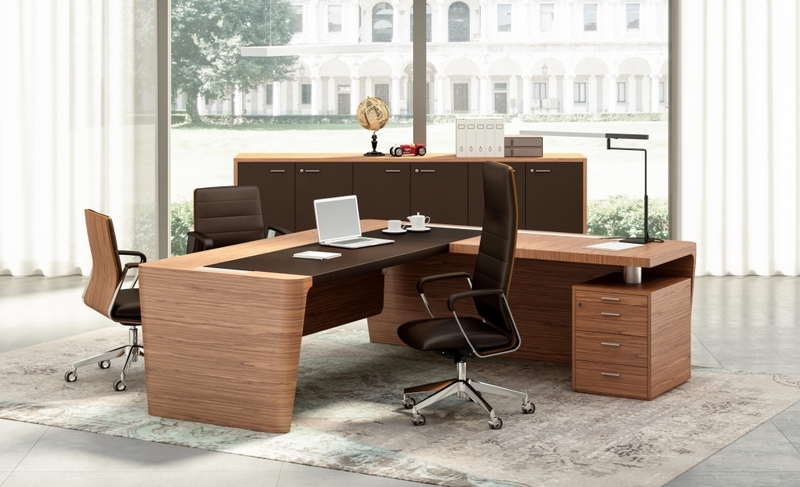 Wood marries leather in X10 marked by superior craftsmanship, the rapport between design and proportions enhances the elegance and the beauty of clean-cut soft silhouettes, which distinguish the leg and the entire surface of the desktop where the wood finish combined with finely stitched leather is truly breath-taking. Planning novelty with an eye on tradition. 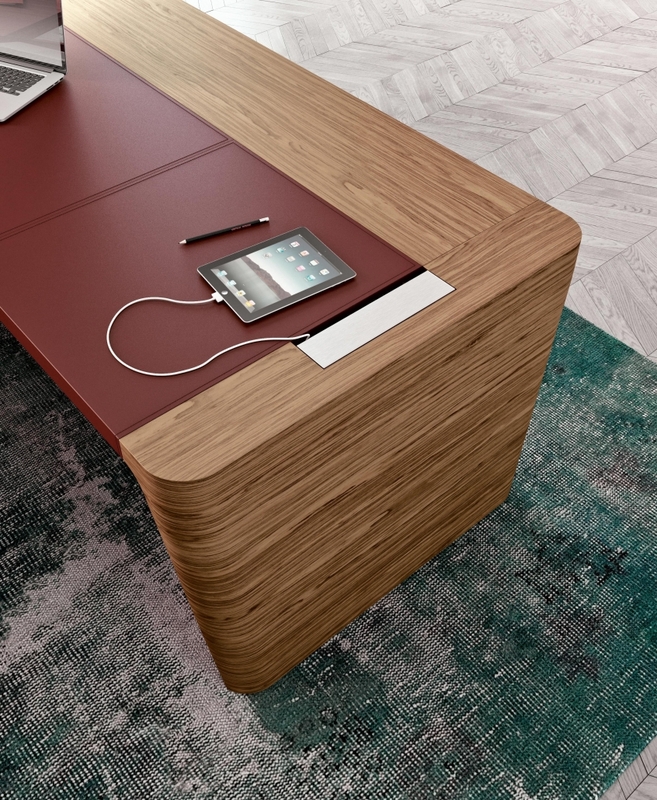 Contemporary furnishings play with the proportions and physical appeal of the more traditional design. Extra thick timeless shapes, workmanship borrowed from master cabinet-making, impeccable combinations of wood finishes and leather, and soft silhouettes are the ingredients in the transformation of status symbols into a design that conveys solidity with the light weight of a sign. Praise to the balance between material and form. 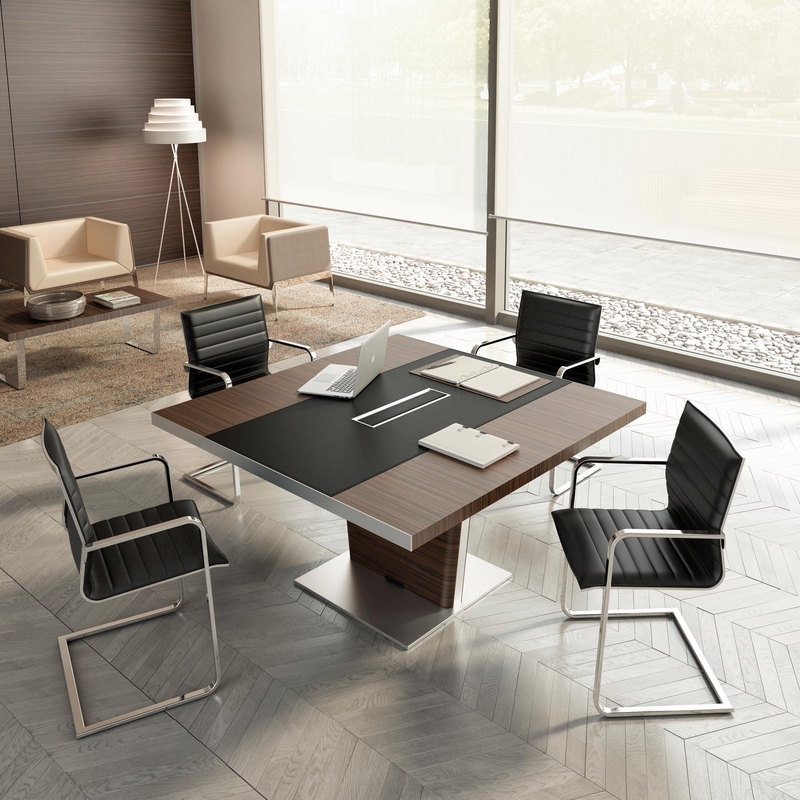 The desks make way for elegant shapes and wealthy volume compositions, immediately turning into a symbol of modernity. Strikingly simple elements, visual contrasts, slanted silhouettes and games of compositions delineate the surfaces of the executive desk. Elegant colours and textures to accommodate the tastes of the contemporary manager. The idea of pure and uncontaminated space. A modern organisation of functional areas in which the furnishings become the fulcrum of an office created to generate sensations, encounters, socialising and efficiency. 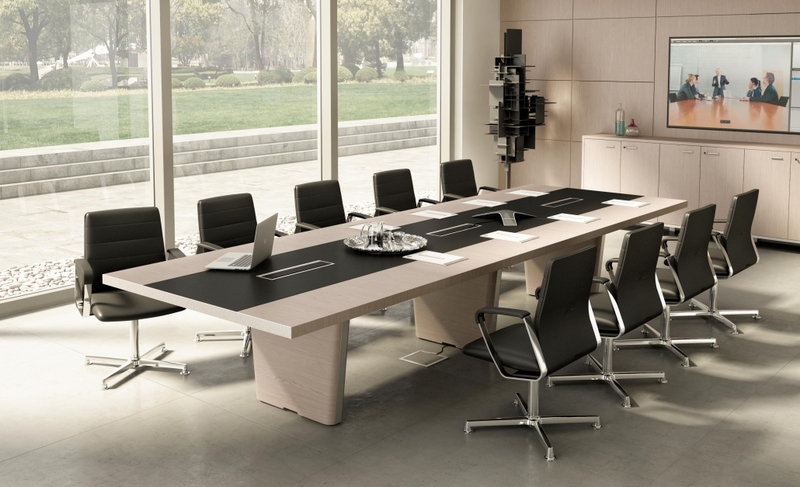 The ample work surfaces define solutions in which the office is experienced in perfect harmony with the environment. Expanding the limits of space the harmonious game of combining elements together is revealed to solve any space and usage problems. The various elements contribute towards creating settings where the usage value merges with styling consistency.